This hollow core motorized rotary stage is made of aluminum alloy with an elegant black anodized surface. The drive mechanism is worm and worm gear. The worm gear ratio is 720:1. It provides 360� of continuous rotation. The maximum load of this rotary table is 75 Kg. 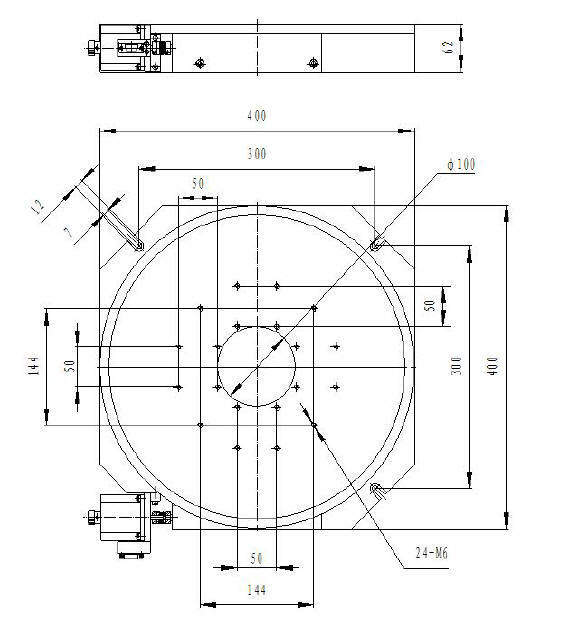 This 100 mm diameter rotary actuator has a body weight of 21 Kg. The resolution of 0.00025� is achieved with a 10 micro-steps per step stepper motor driver. 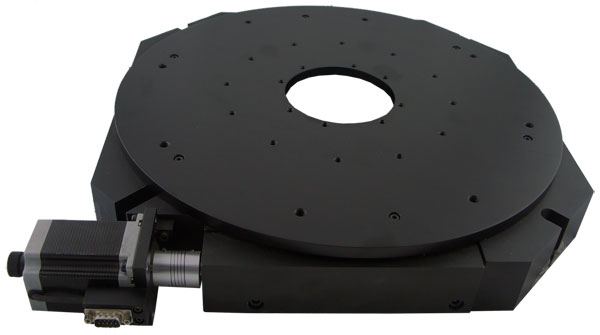 This rotation stage is also available with a servo motor and optical encoder. This motorized stage is capable of continuous spinning.